Flowering is an imperative and exceptionally complex developmental segment of a plant’s life cycle. Flowers are a plant’s reproductive organs, producing male and female gametes which subsequently lead to fertilization, setting seeds for the next generation. The reproductive success of a plant species is reliant upon the tight regulation of cellular processes induced in response to diverse external clues such as temperature, duration of daylight, light intensity, as well as internal factors which mostly include phytohormones and the plant’s circadian clock. Such processes are largely governed by candidate molecular switches which comprise floral meristem-related genes and microRNAs (miRs) as their master regulators. MiRNAs are 21-24 nucleotide-long, non-coding RNAs which target various transcription factors identified as essential for the instigation of gene transcriptional machinery. Since miRNAs’ gene expressions are influenced by both external and internal signals, these are considered as master regulators of cellular gene expression. Evidently, one of the phytohormones, i.e. auxin, is fundamental to cell division, cell elongation, and organ development and maturation. During flower induction, auxin signaling pathways are readily controlled and regulated by miR167 through its direct targets — auxin response factors (ARF6 and ARF8) and gene expression, which bind downstream to various auxin responsive elements (AuxREs) and regulate their transcription. To understand the coordinated and fine-scale expression network of flowering-related essential miRNAs with their phenotypic implications, we employed a target-mimicry based diminution approach of miR167 in tobacco to study the expression behavior and spatio-temporal biases of flowering-associated microRNAs. To observe the effect of miR167 on flowering instigation and further progression, its expression was genetically diminished in transgenic tobacco plants. For this purpose, a complimentary miRNA precursor oligonucleotide with a distorted miR-cleavage site was integrated into the genome of tobacco leaf explants using natural genetic engineer Agrobacterium tumefaciens. These explants could be cultured on an hormone-enriched artificial medium for the induction of organogenesis. Putatively transformed plants could be generated and transferred to the greenhouse for analyzing phenotypic divergences from the control plants. Interestingly, phenotypic analyses of confirmed transgenic mimic lines exhibited both early and late flowering-time phenotypes in the transgenic population. Ectopic transgene expression data revealed that percent diminution of miR167 was positively associated with varied flowering time phenotypes of transgenic mimic lines as compared to control plants. Less than 60% diminution of miR167 in mimic lines exhibited “late flowering” phenotype, whereas more than 70% diminution of miR167 exhibited “early flowering” phenotype. This observation is extraordinary and novel from a developmental perspective, where a particular genetic manipulation had led to the creation of assorted phenotypes including both late and early flowering time morphologies. Simultaneously, floral development-associated defects were also prominent amongst transgenic mimic lines such as smaller sized flowers, non-viable pollen grains, abnormal production of flowers, and no seed production. Such varied phenotypic variations in the transformed organ mimic lines may, therefore, be attributed to the induced changes in miR167 gene expression levels. In result, miR167 target genes that have changed ARF6 and ARF8 expression in mimic lines, thus influencing auxin-signaling pathways in the developing cells. Furthermore, flowering time associated miRNAs in plants, including miR156, miR159, and miR172, were also examined for their relative gene expression levels in floral bud tissues. Misexpression of miR167 led to altered down-expression of flowering-associated miRs directly or indirectly. Consequently, their target genes also got up-regulated in floral bud tissues and contributed to assorted flowering time morphologies. The expression ratios of these allied miRNAs at a particular time-point resulted into an early or late flowering time phenotypes in transgenic mimic lines. 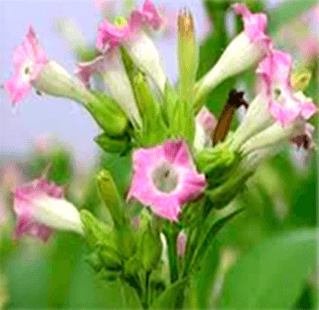 These findings are described in the article entitled Target-mimicry based diminution of miRNA167 reinforced flowering-time phenotypes in tobacco via spatial-transcriptional biases of flowering associated miRNAs, recently published in the journal Gene. This work was conducted by Sakshi Arora, Dhananjay K. Pandey, and Bhupendra Chaudhary from Gautam Buddha University. 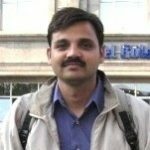 Bhupendra Chaudhary is an assistant Professor at School of Biotechnology, Gautam Buddha University in Uttar Pradesh, India.